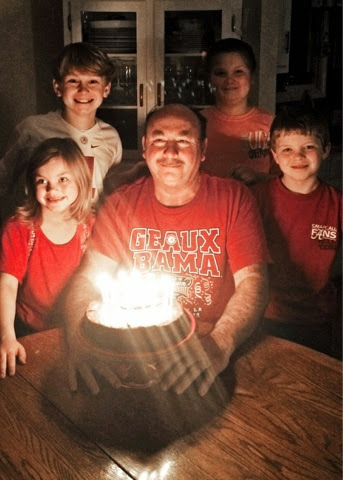 January 1st 2015: Happy New Year & Happy Birthday Pap Pap! Pap Pap's Birthday is New Years Day so we usually always head to the lake to celebrate his birthday and enjoy some yummy New Years Day food too! 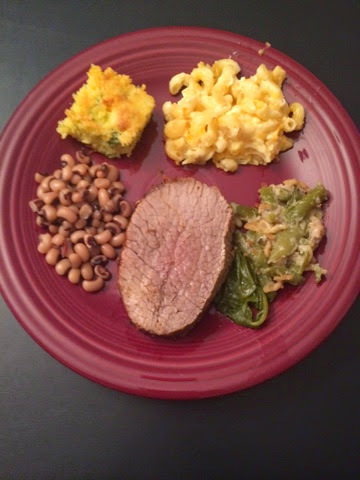 I ate my black eyed peas for good luck and I even tried turnip greens for the first time ever so maybe I will get some money this year too! LOL! 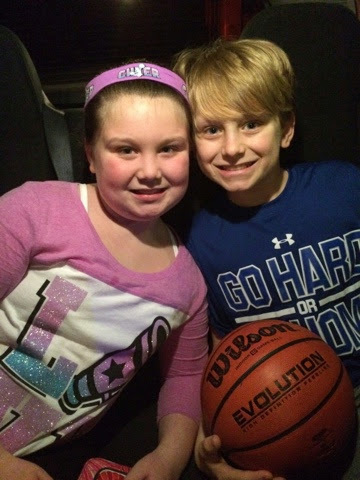 Brylee went to Friday Fun Night at a local cheer gym with some of her friends and Jackson went to basketball practice! I enjoyed a few moments of peace and quiet! 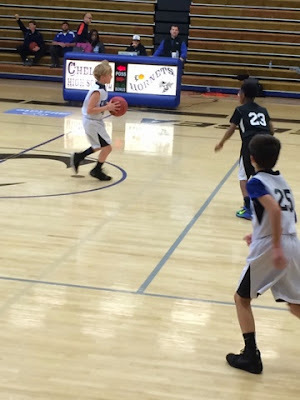 January 3rd: Basketball Season kicked off for Jackson today! Jackson and Brylee both got new bikes for Christmas! It was a nice afternoon so we loaded up their bikes and headed to the track! 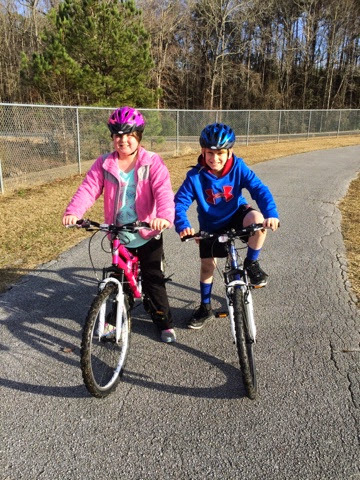 They rode their bikes and we all enjoyed walking the track! Trying to enjoy what few nice warm days we do have in the winter months! 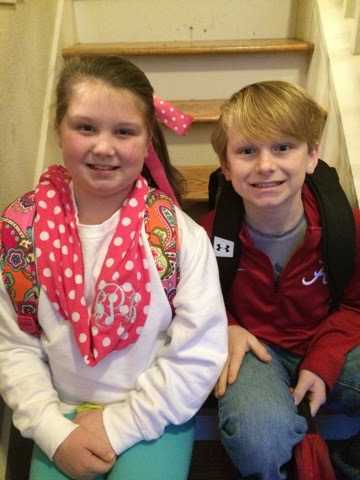 Today was the first day back to school for Jackson and Brylee!!! Second semester here we come!!! 18 weeks and counting until summer!!!! 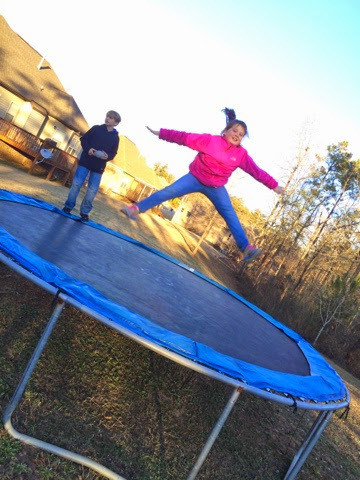 We are expecting some pretty cold temps in the days ahead so this afternoon we went outside to jump on the trampoline and play outside before the below freezing cold temps hit our area! I think I could turn into a McDonalds ice cream cone and be just fine! 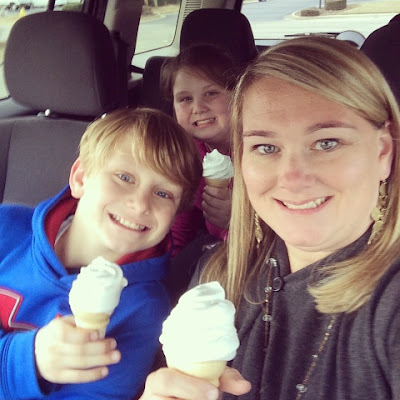 I/we have an addiction to these little plain vanilla cones! It was our after school snack on the way to the allergist today! Yes it was about 20 degrees outside and we were eating ice cream! Oh well!!! This was just what our little family needed... A 2hr delayed start to school! The first week back from Christmas break is always rough mainly because we get into a bad habit of staying up later and sleeping late during the break! So we enjoyed our extra sleep this morning, our low key morning, and our yummy breakfast we actually had time to cook and enjoy! 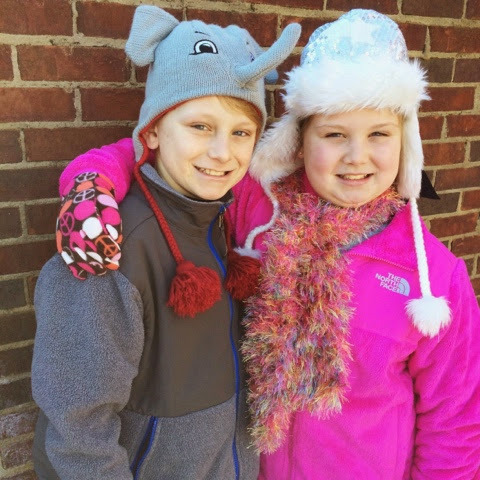 We are trying very hard to meal plan, grocery shop, and eat at home! As opposed to eating out! 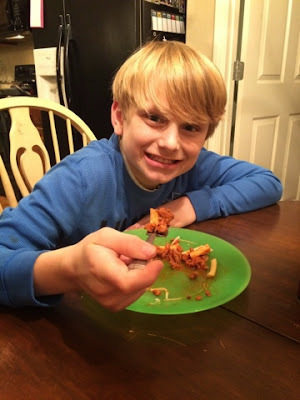 I love to eat out but I felt like that is all we did during December; eat out or eat junk! I am sick of every single thing at every single restaurant! So we are starting the year off with eating healthier and eating at home more! I struggled big time Friday night I wanted to eat out and not fool with cooking but I pushed through and thank goodness JP loves to help cook because he cooked us dinner! 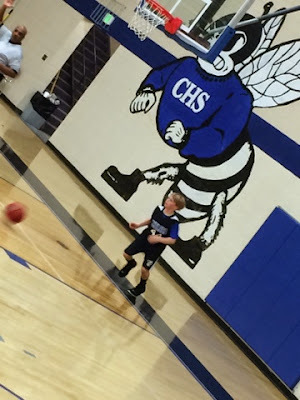 Jackson had his second game yesterday and his little team won again! We are so excited! It was a close one too... The score went back and forth many times but we ended up winning for 4 pts in the end! Go JP!!! Keep up the winning streak!!! We are trying to have some outside family fun on Sunday afternoons! 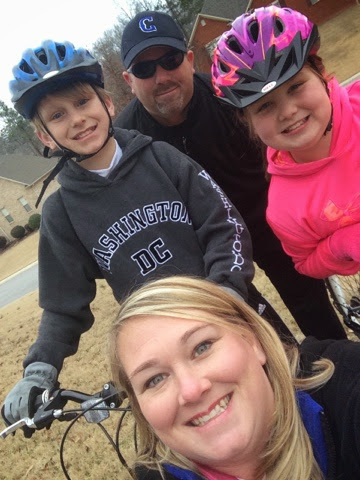 Today the kids rode their bikes and RP and I walked through the neighborhood. 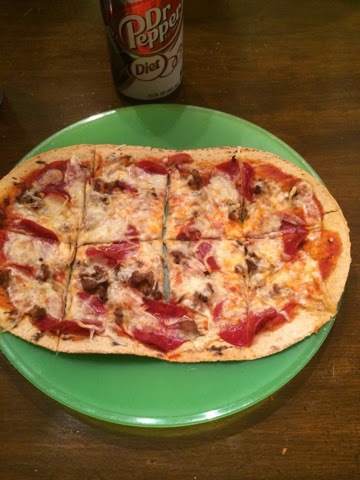 Then we came home and made pizza for dinner! The pizza's were so yummy! I love love love me some pizza but it is so fattening so I found a new recipe on Pinterest for this pizza! You get the whole pizza for 450 calories! I can't wait to try new versions with other toppings! Tonight our toppings were turkey pepperoni and Italian sausage! It's a keeper!